Highlights Fabulous viz and jaw dropping big fish encounters make diving the remote and pristine Barren Islands a must do for divers visiting the Andamans. 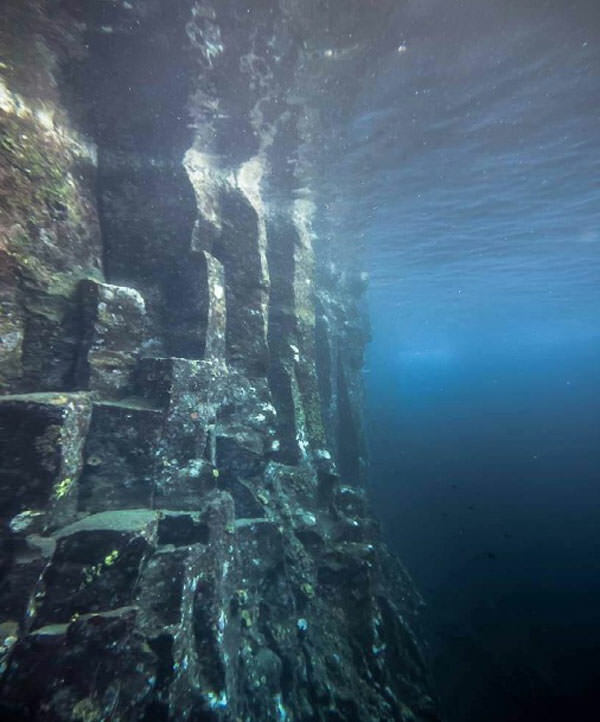 There's just one word to describe the diving at Barren Island: exciting. 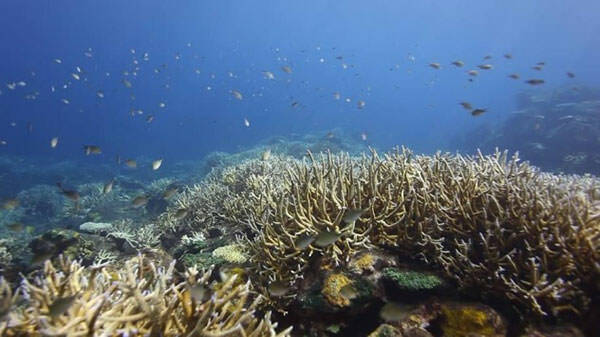 This is the most easterly part of the Andamans, and as such, had rarely been dived before the crew of Infiniti arrived. It instantly became one of the major highlights in their dive schedule. 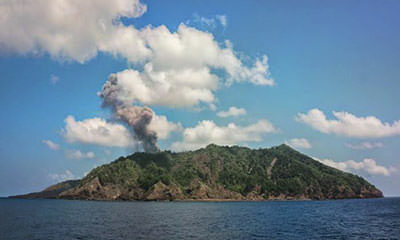 Barren Island has the only active volcano in South Asia and the smoking volcano out in the middle of the ocean itself is an imposing sight to behold. 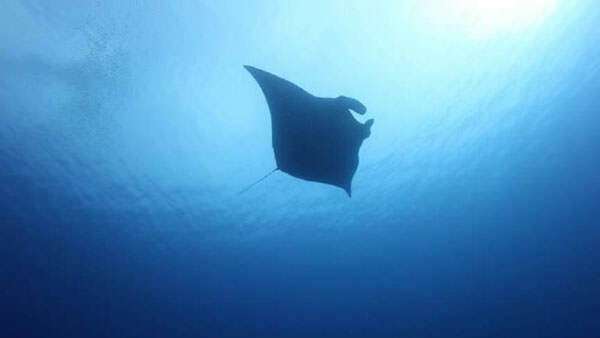 The surrounding waters boast sensational coral reefs, crystal clear visibility and plenty of pelagics, including a family of around 9 mantas that are very intrigued by divers! The warm up to the Barren Islands are some of the so called Five Star dive sites. Look for white tips at Johnny's Gorge. Be surrounded by barracuda, snapper, bannerfish at Broken Ledge. Then the diving begins in earnest at the Barren Islands. There's a resident family at Manta - keep your eyes open at Manta Point and Manta Bay. Fill your log book with one quality dive after another. Drift along lavish soft corals at Purple haze, where friendly turtles hang out. Float over pristine hard corals at Coral Paradise. Dive through the vast sea fans, to the overhangs at Auditorium. On selected cruises Infiniti will go even further to include the Narcondam islands with their prehistoric cliffs, extinct volcano and isolated underwater world. 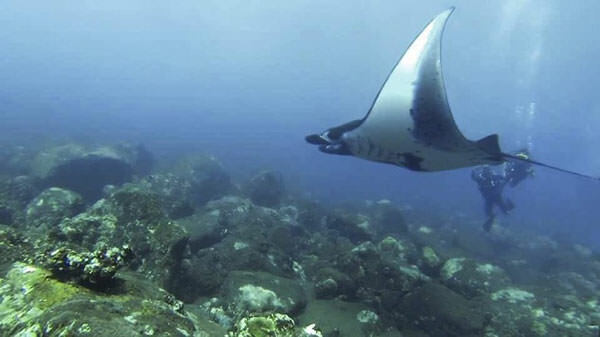 Rocky ridges, steep slopes and lush reefs characterise this area with large Napoleons, bump head parrot fish and manta. You will usually spend at least 1 full day around Narcodam. 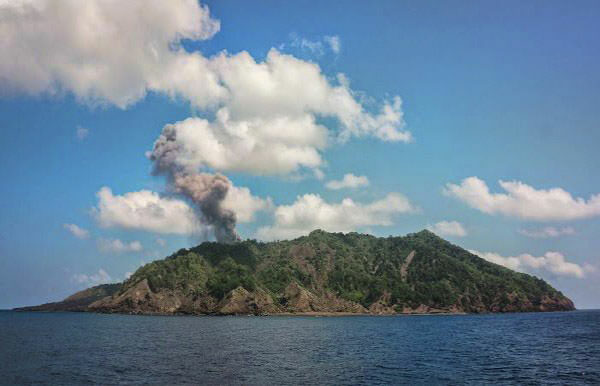 Everyone is welcome on board the Spectacular Barren island itinerary, but please be aware it is a remote location and some dives will experience currents. You should be comfortable diving on a drop off and have good buoyancy. The Visibility is especially good here and can photographers will love the endless wide angle opportunities. What are you waiting for. Dive these pristine islands in warm waters with the Infiniti liveaboard. Your point of arrival into the Andamans is Port Blair. Embarkation is by 15:00 on the day the boat departs from harbour. The harbour is around a 20mins transfer from the airport. On arrival you will be met and taken to the boat. If you are arriving earlier into Port Blair, we can make arrangements for hotel use until you are transferred to the boat. 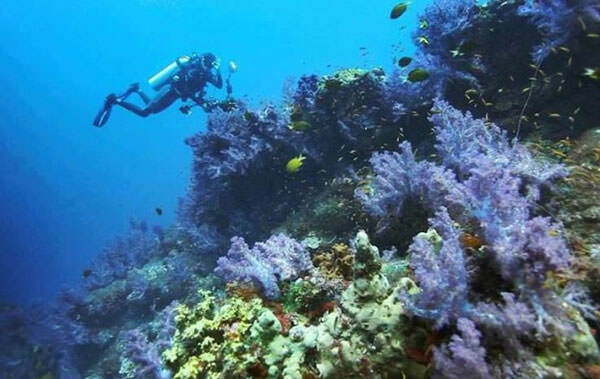 The diving at Barren island usually includes dives at Purple Haze, Manta Point, Coral Paradise, Barren Garden, Manta bay, Auditorium & Gallery, Dixon's Pinnacle and the Junction. Rocky ridges and steep slopes are home to massive gorgonians and barrel sponges. Large napoloens, bumphead parrot fish and manta are frequently seen at Chimneys, Ohhh la la, Lighthouse reef. Or hunt for tuna at HQ Pinnacle. At the end of your trip you will be taken back to the airport to begin your journey home. Please speak to your travel consultant if you would like to extend your time in the Andamans or a stop over en route to the UK.